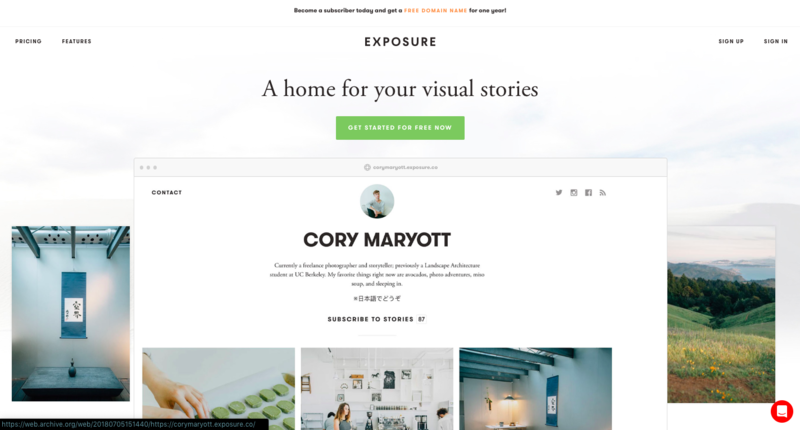 Exposure is the leanest content management system in the world, enabling over 300,000 users to tell context-rich stories with stunning photographs. It caters to both businesses and photographers — including the serious travel bloggers to the occasional photo-taker. Exposure has a single founder, took on a small amount of funding to get the product started, and has remained a lean team for the past 5 years. Despite the odds being stacked against them, Exposure was winning. Without millions of dollars in funding or a full-scale marketing team behind them, the burgeoning CMS was taking on huge competitors like SquareSpace and Wix — and stealing market share. But with over 300,000 users and counting, Luke Beard, CEO and Founder of Exposure, was finally finding it overwhelming to try and keep revenue growth on track. Monthly recurring revenue was at a standstill, and Luke felt buried. Buried by the product and growth possibilities, buried by the sheer volume of data available to him, and paralyzed by what he didn’t know about taking his product to any of the markets before him. From identifying best-fit customers to collecting and assessing the right data points, Luke struggled to find a clear path forward. Luke knew he needed a partner who could help him define Exposure’s value proposition, bring clarity to their product road map, and then take the platform to a buy-ready market. Luke found a capable and empathetic partner in DemandMaven — a local consultancy specializing in helping early-stage startups define their growth strategy and take their product to market. To help Exposure carve its go-to-market strategy, DemandMaven created a research plan for customer interviews and started the customer journey mapping process. By interviewing Exposure’s broad range of customers, patterns began to emerge in the way certain personas and markets found and leveraged Exposure; including the features they valued most, and their associated churn risks. DemandMaven helped Exposure identify the personas and markets who were getting the most value out of the product. Together, they explored the growth possibilities and evaluated them through a series of campaign experiments — starting with the un-earthed qualitative and quantitative data about best-fit customers. 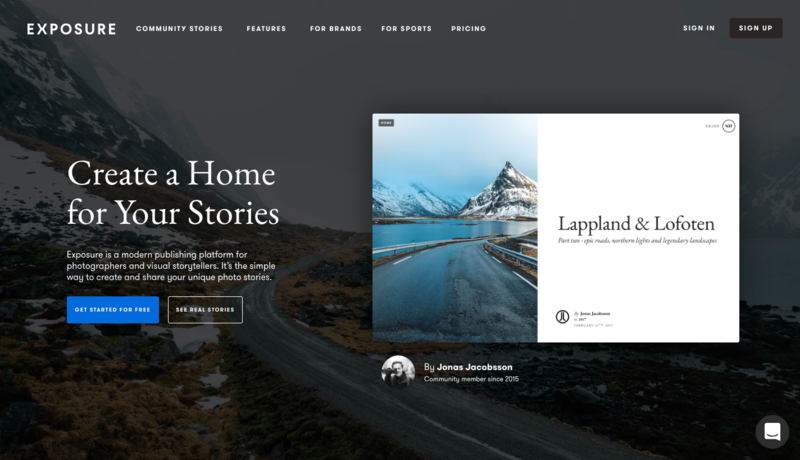 After completing the customer journey mapping process, it was clear that Exposure needed to optimize a few key landing pages, update new user onboarding, and the overall website — including refreshing the home page and the B2B case studies. Perhaps most importantly, it became clear how Exposure’s product roadmap would need to be adjusted to focus on a specific market and therefore persona. Luke doesn’t have to guess anymore. After evaluating each market opportunity, Exposure and DemandMaven worked together to define and focus on just one key market. DemandMaven helped Luke align the brand’s positioning, messaging, copy, marketing activities, website, landing pages, upcoming product features, and in-app analytics to enable that one core audience. Plus, he received all of the strategic, actionable insight he needed to execute immediately. DemandMaven also worked with Luke to enhance and redesign the home page. As a result, the visitor-to-free-trial conversion rate of the home page increased by 68% — a remarkable improvement that directly translated into a 2% lift in monthly recurring revenue in less than 30 days. Best of all, Luke feels confident, focused, and validated in who Exposure serves and the pain the platform solves for its best-fit customers. Because of DemandMaven, he and his team can prioritize the work they’re doing.